This book traces the journey of Mahatma Gandhi, from being a simple and truth-seeking human being, a satyarthi, to a committed, conscious and social human being, a satyagrahi. It specifically looks at this critical transformation during the time Gandhi was in South Africa. The central argument of the book is that Gandhi evolved from being a satyarthi to a satyagrahi in South Africa. Subsequently in India, he consolidated his orientation with an emphasis on praxis, by developing his ideas as instruments for social and individual struggles. Marked by a series of events, this period was an intense quest of self-realization and understanding, and shows his journey from being Mohandas Karamchand Gandhi to being Mahatma Gandhi. The book discusses various elements of Gandhian thought and praxis — morality, wisdom, non-violence, truth, social justice, dharma, trusteeship, education, sarvodaya, Hind Swaraj, swadeshi, and social service — and interprets the relevance of Gandhi’s thought in the modern world by highlighting its unique significance for social transformation and change. Lucid and accessible, the book will be useful to scholars and researchers of Gandhi studies, Indian political thought, modern Indian history, and political studies as also the general reader. Samir Banerjee is an independent researcher based in Bengaluru, India. Besides long-standing involvement in the non-formal sector on issues such as sustainable development, environment, organic farming, watershed development, technology, adult literacy, and slum habitats, he has taught, written and published on the significance of Gandhian thought and praxis. 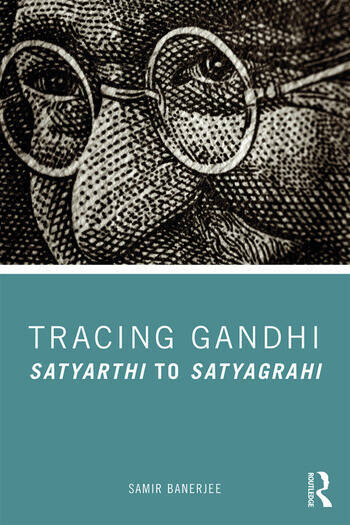 His last published book is Notes from Gandhigram: Challenges to Gandhian Praxis (2009).